For reasons never quite explained properly, one half of NUFC.com managed to make the trip from Basel to Chelsea via Grantham, and find himself shivering amongst almost 3,000 folks at the South Kesteven Stadium. However, despite an early Kevin Wilkin goal (scorer pictured above) to boost the spirits of the home side, the conquerors of Ashington in an earlier round ultimately went out 2-1 to an extra time winner, denying them the chance of a replay at Brisbane Road. And while the O's dream of a Premiership club in Round Three as a reward for beating Cheltenham Town on their own ground on the first Saturday in December, Grantham host Moor Green in a less romantic Dr.Marten's League encounter that will see the ground back to it's more usual 400 crowd . Due to the recent bombings in Istanbul, our Turkish TAPIBAW representatives travelled to Germany for their Champions League meeting with Chelsea on Tuesday, the game staged in the Arena Auf Schalke - the same venue that will host this season's Champs League final. 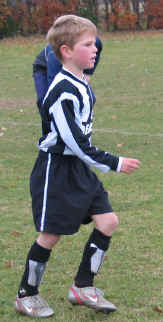 Connections with the toon include a stint on loan from QPR by the Bosphorus by Les Ferdinand, while Newcastle Academy boss Gordon Milne once coached the club. NUFC Singapore 3 Spider 6 - a scoreline you may have missed, but one which marked the debut of the Singapore Mags, as they prepare to participate in a local league of Premier League Fan Clubs that starts next year. Star man: a Mr K M Gan (aka Keegan) with a double strike: Playing in the old Asics shirts kindly sponsored by the local importers of Newcastle Brown Ale. 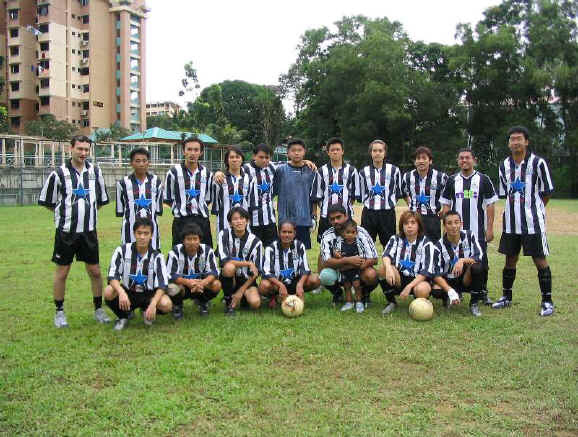 The NUFCsingapore team turned out for its 1st friendly game against local Singapore side Spider with a very promising display. Conceding an early goal, the lads fought back as the team slowly began to gell together, Keegan scoring from a 20 yard free kick scorcher, Dino adding another in the second half after a quick counter attack, then Keegan scoring from the penalty spot after 'going down' in the box. Some dubious referee decisions didn't deter the lads from a very competitive all-round display (which was a slightly more respectable 5-3 until the final minute). Brockham Green may be better known in Surrey cricketing circles as a venue for entertainment of the bat and ball variety, once welcoming the illustrious WG Grace, but the other round ball game also flourishes in these parts. And near to this village lies neighbouring Betchworth, where you'll find a variety of teams playing under the Badgers banner in local Guildford and Dorking leagues - badgers being found locally on the banks of the River Mole. Most weekends (weather permitting) you'll find Badgers teams competing at various levels against their rivals, including the likes of East Grinstead Town, Royal United and Upper Beeding.